One of my 101 in 1001 goals is to visit new restaurants. 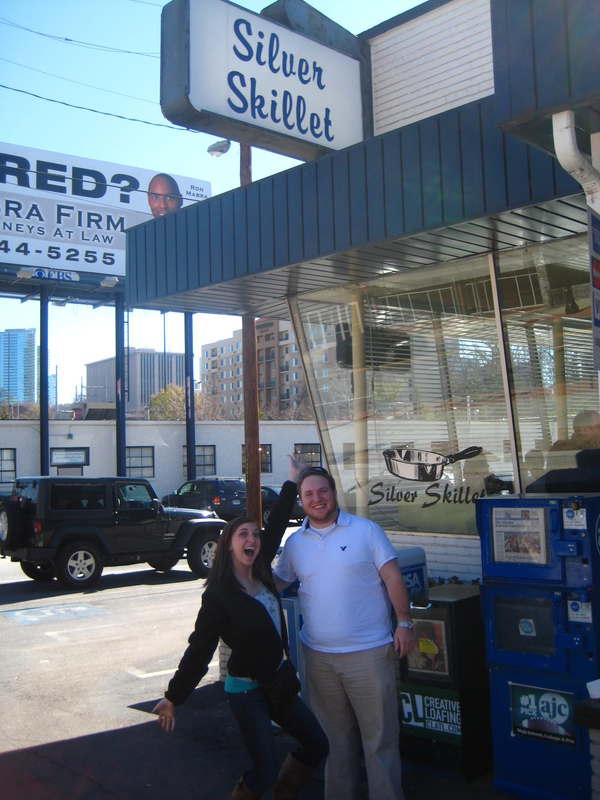 This past weekend I was able to visit a new restaurant, the Silver Skillet, an Atlanta Landmark. 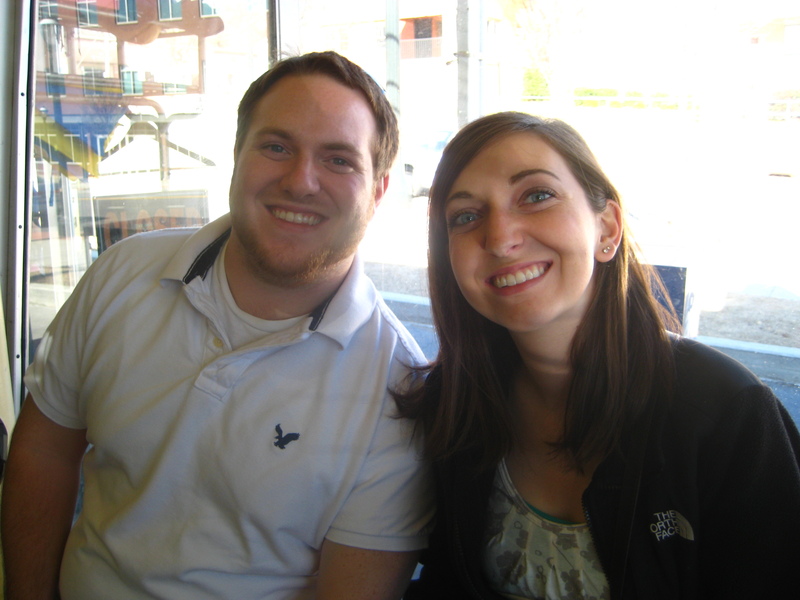 I had never been there, but thought it was a perfect opportunity for brunch since Conner’s sister was in town. 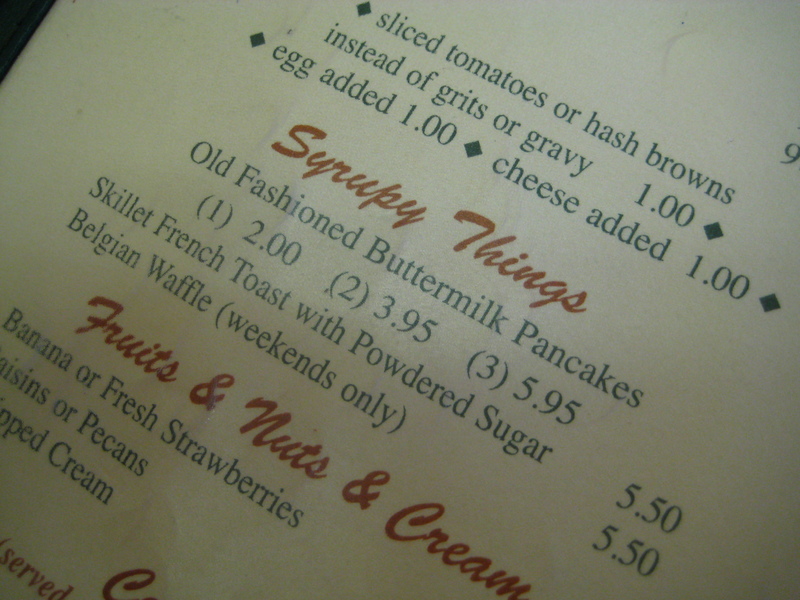 There were a lot of options to choose from, including “Syrupy Things”. We all ordered some form of hash browns, eggs, and bacon. The food was great, however the little old lady that served us our food had a hard time remembering what we ordered. Needless to say, we all had something other than what we ordered, even though 2 of our orders were supposed to be exactly the same. Overall, this didn’t damper the mood of the place, since the food was good and that same little old lady was funny. 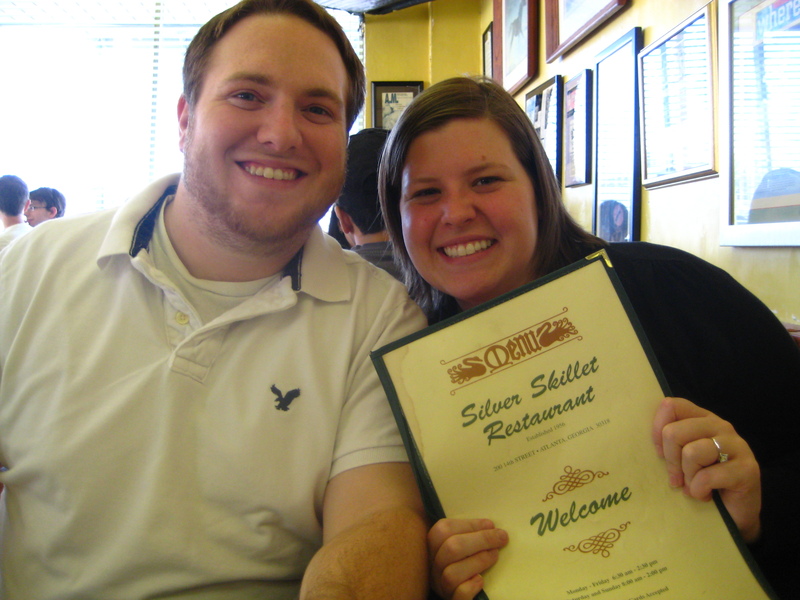 The Silver Skillet is a hot spot for many celebrities, including Guy Fieri, who featured the Silver Skillet on Diners, Drive-in’s and Dives. Our little waitress informed us that she could be spotted on the episode three times, but then refused to give us an autograph. She was funny. We had a great time, good food, and will definitely be back. They have home-style veggies served during the week that I must go back for. Mostly because the list included fried okra, macaroni and cheese, and fried green tomatoes. 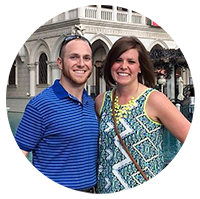 If you are in the Atlanta area, make sure to put this hot-spot on your list of must-visit locations.